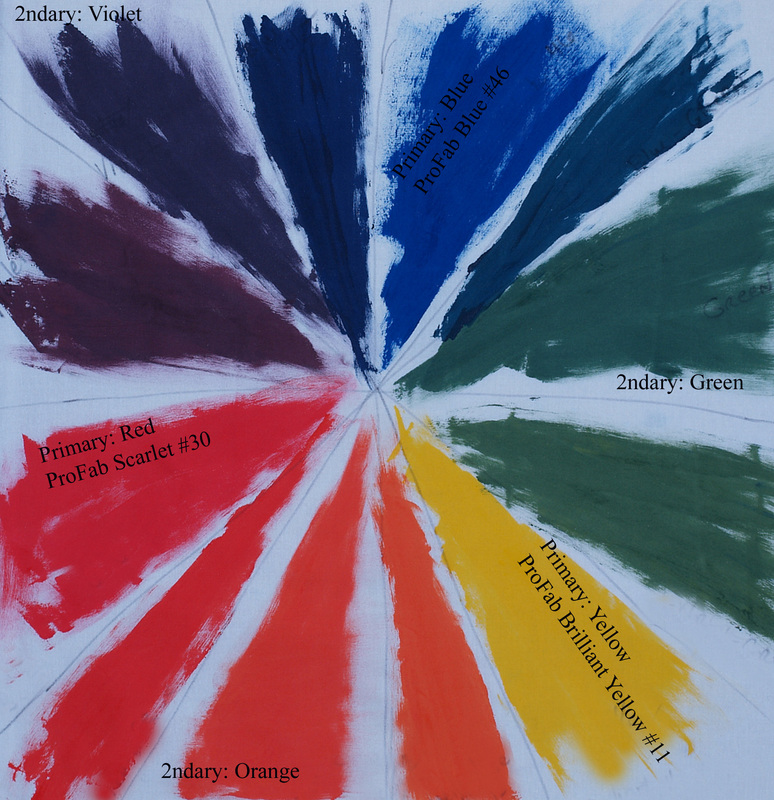 To begin understanding paint, it’s a good idea to make your own color wheel. Mixing from the 3 primary colors can yield an infinite number of new colors, depending on how much of which color is added to your mixture. My color wheel started with the 3 primary colors – scarlet #30, brilliant yellow #11 and blue #46 – placed approximately equidistant from each other. 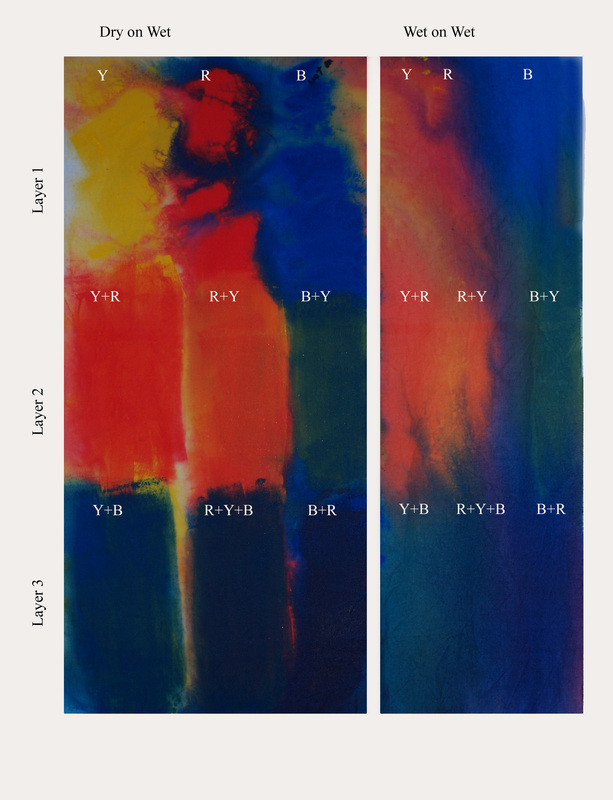 I mixed red and yellow to make orange, red and blue to make violet, and blue and yellow to make green; these are the secondary colors and were placed between the primaries. Next, tertiary colors were mixed by adding more red, blue or yellow to each of the secondary colors, and these new colors were placed in their appropriate places on the color wheel. You can take this exercise further by adding white to each color to get a lighter hue, or “tint” and/or by adding black to each color to get a darker hue or “shade”. I used transparent colors for this wheel; opaque colors can be used as well. For my explorations, I will be using ProFab Textile Paint and ProFab Opaque Textile Paint, both available online from Pro Chemical & Dye. 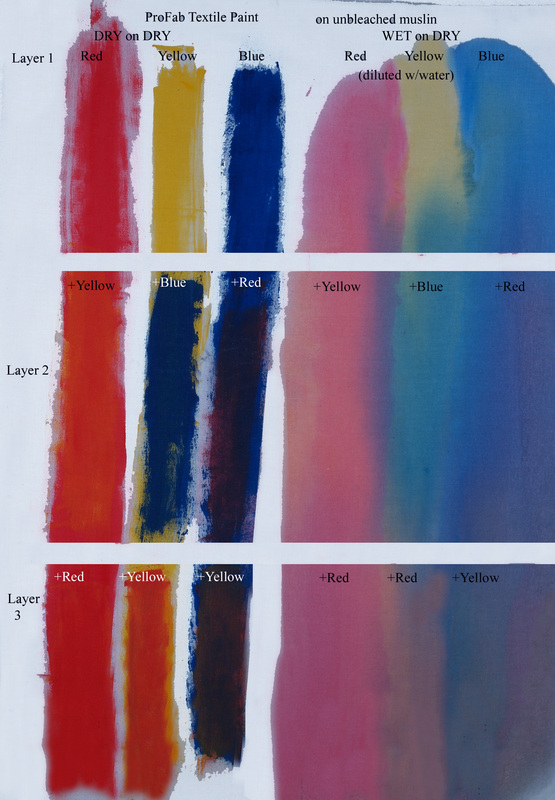 These paints are offered in transparent and opaque – differences to be explained in a future post. They are the perfect consistency for screening on fabric, and they can be thinned with ProChem base extenders.